Ashland Creek Press, 9781618220110, 150pp. Writers are often told that in order to succeed, they must write every day-yet this isn't realistic or feasible for writers with families, day jobs, and other responsibilities that preclude a daily writing practice. 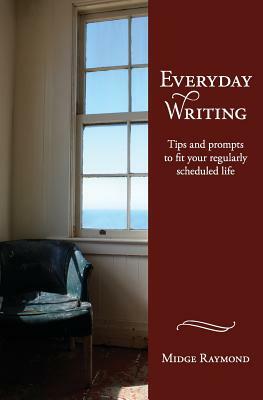 Everyday Writing is about how to be a writer every day, even if you're unable to sit down to write every day. This book provides dozens of tips for busy writers, including how to create your ideal writing space, how to develop habits that work for you, and how to keep your projects moving forward even when you're short on time. Everyday Writing also offers more than 150 prompts to fit into any writer's life, from five-minute prompts you can do in a grocery store line to lengthy prompts that are perfect for a writing retreat. Whether you'd like to generate new material, free yourself from writer's block, or start a revision, these writing exercises provide a way to engage immediately with your work.